Look your best. Jacquard dots are a print that makes every outfit looks crisp. Pair with chinos for a clean, stylish vibe. 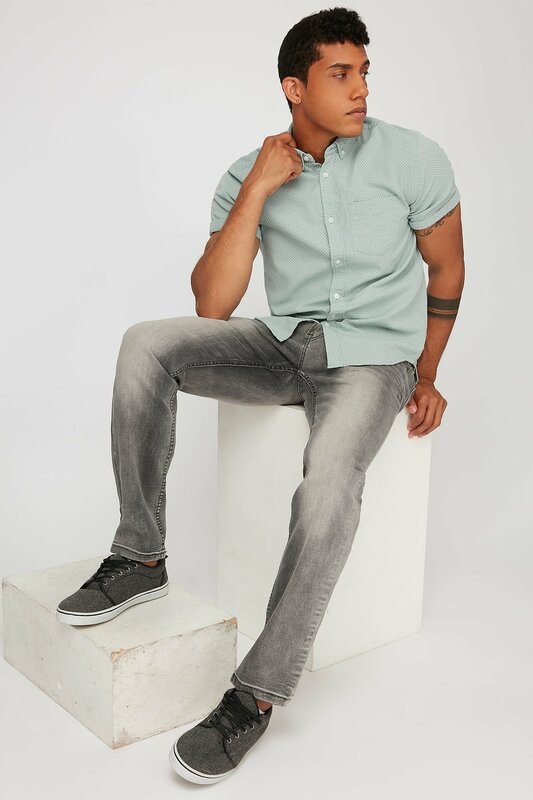 Features button down collar, button up closure, patch pocket, short cuffed sleeves and a dolphin hem. Chest: 36" Length: 28.5" Sleeve: 8"